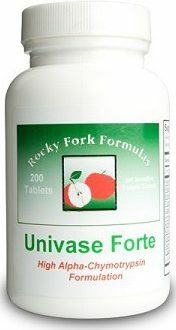 20% more powerful than Wobenzyme, Univase Forte Proteolytic Enzyme formula contains a mixture of 10 different enzymes as well as other synergistic nutrients to enhance the nutritional benefits of this powerful blend of enzymes.† †Results may vary. Ships fresh from manufacturer. FREE SHIPPING - Continental USA only. 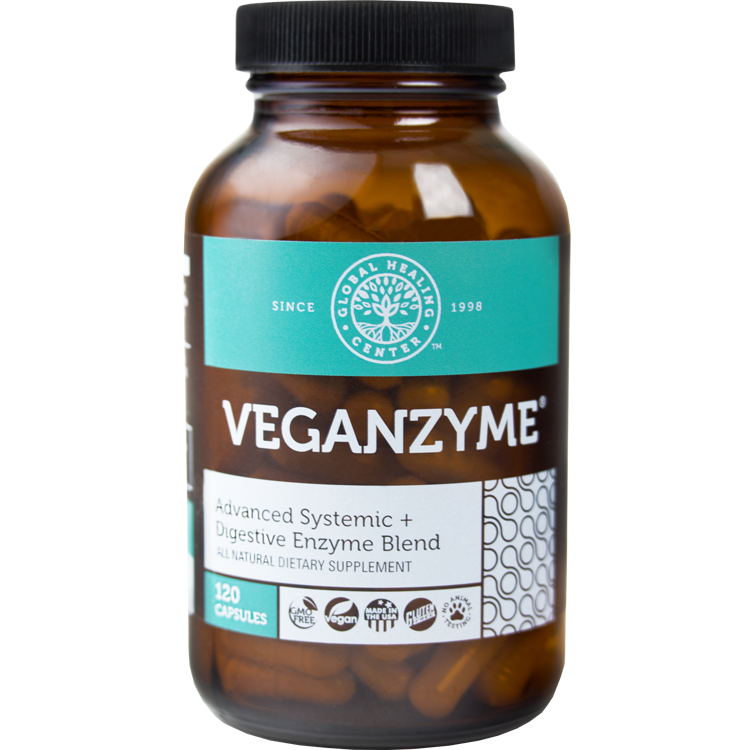 Trevinol Professional Vegetarian Formula (90 count) consists of a clinically developed Proprietary Blend (531,000 Units of Enzymatic Activity) of systemic enzymes, including Serrapeptase, Nattokinase, Bromelain, Serraspore Blend™ (Encapsulated Lactobacillus Sporogenes). Trevinol is scientifically formulated for fibrin defense to protect from the damage caused by excess fibrin buildup and the resulting inflammation.† †Results may vary. Trevinol Professional Vegetarian Formula (300 ct) consists of a clinically developed Proprietary Blend (531,000 Units of Enzymatic Activity) of systemic enzymes, including Serrapeptase, Nattokinase, Bromelain, Serraspore Blend™ (Encapsulated Lactobacillus Sporogenes). 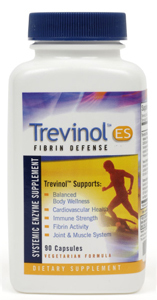 Trevinol is scientifically formulated for fibrin defense to protect from the damage caused by excess fibrin buildup and the resulting inflammation. † †Results may vary.